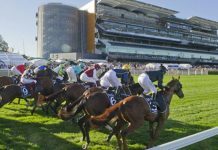 Our Melbourne racing analyst is this week's guest on the Betting 360 Podcast. This week’s podcast guest is our Melbourne Racing Analyst Trevor Lawson. 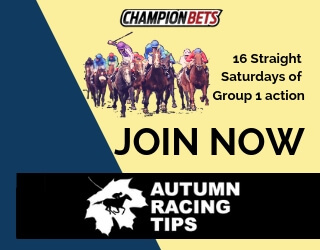 With 200 units profit from his Melbourne Ratings package, Trev has enjoyed a hugely successful first 12 months with Champion Bets. 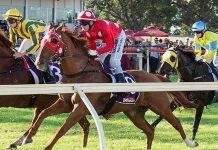 He talks us through the first year and how it stacks up, and how changes to the Victorian market have affected his betting. 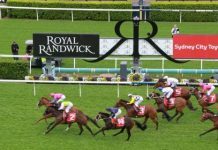 Mark Haywood: So my guest on this week’s podcast is our own Melbourne racing analyst, Trevor Lawson. Thanks for joining us Trev. Mark Haywood: I just wanted to get on you on Trevor, because it’s actually been a full 12 months now that you’ve been with Champion Bets. So I just thought we’d have a bit of a look back about how things have gone. 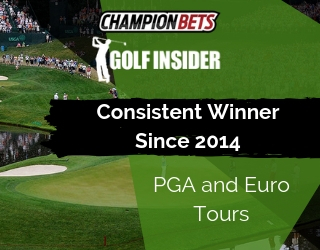 Results-wise with the Melbourne ratings, which have been running for that twelve months … Based on your own betting, the results we put up, you’re just about exactly 200 units up for the year, at 16% profit on turnover. Do you feel like it’s been a good 12 months, or just a normal 12 months? Trevor Lawson: Well it’s sort of normal, I suppose. I don’t really keep stats as such, but yeah I just think it’s been fairly consistent. And normal. Mark Haywood: So you haven’t felt like it’s been especially good? Trevor Lawson: I’ve had better spring carnivals. It wasn’t as good as what it’s been in the past. But the last two months have probably been pretty good, compared to last year. There’s bits that are hard to work out. A lot of it’s got to do with the tracks and all that. Just tend to find when the tracks are fair and even, and we don’t have a lot of rain that’s when you tend to do your best. So normally in the autumn, the track’s normally good. There’s not as many horses from interstate so they’re the same sort of horses generally been going around, and it’s a bit easier to line them up. Mark Haywood: So you generally find autumn a bit easier? Trevor Lawson: I think so. Yeah, spring’s all right, because you get a lot more value in the spring. It is getting a bit harder now with a lot of overseas horses coming that you don’t know. So whereas in the past, I used to like betting in the Melbourne Cup, and the Caulfield Cup, and now you tend maybe not to, because there’s so many horses that you don’t know. You sort of do the form, they put the markets and there might be some opportunities. And if you’re right you get a profit. Mark Haywood: And you were saying in the major races in the spring, that obviously has an big impact on you, the increased number of internationals that come in, because like any horse that you haven’t seen run. Is that right? Trevor Lawson: Yeah, well I sort of like betting in the Cup because your ratings hold up and there’s a lot of value because the pool’s so big with the totes and stuff like that. But the last couple of years the spring was all right when there was one, maybe two, maybe three, but now it’s seven and eight horses from overseas. Even though they tend not to win, the ones who are having their first start. I suppose one day one will win, and they are races you don’t bet big into any more. You bet in the other races. Caulfield Cup is a bit the same with Japanese horses, and possibly the Cox Plate as well. You’re just betting in the other races. 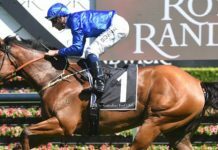 Mark Haywood: Also, starting on Caulfield Cup day we actually also kicked off the Trev’s Bets service, which is the early bets. A bit of a slow start there, but that’s come roaring back. Its been just over six months and we’re up 44 units. How have you found doing the bets, because obviously they’re sent out earlier, is that different to what you’re been used to? Trevor Lawson: It was just finding which horses to send out to start with. Which horses you thought might shorten and which ones didn’t. I suppose the first two months it wasn’t going that well, and it wasn’t that I wasn’t winning in other races, it was just sort of the way I was doing it. Hopefully I’ve worked out a way that it works now that’s been going all right. So, it’s a little different now with the first one going out at 9:00. You assume everything you like is going to shorten, but some do and some don’t, so it’s sort of a bit of guess work, which ones you think will shorten as soon as the minimum bet rule kicks in at 9:00, and which ones you can back later on. I’ve been happy with the way it’s been going basically this year. Mark Haywood: So have you found the Minimum Bet Rule coming in, you mentioned it kicks in at 9:00, that’s something that changed just before last spring. Has that made reading that market more difficult? Trevor Lawson: To some extent, yeah. When I first started it was probably at the end of February, I think. Originally I used to do 95% of my betting in the half hour before the race on course, now I don’t do any betting on course at all. I try to do a fair bit of my betting before even the half-hour before the race. So it’s completely changed, it’s just gone from one extreme to the other. There’s some big teams out there and they rule the market, basically whatever price they mark them, that’s what price the market runs. So if you’re on one that they like, it will shorten up early. And if you’re on one that they don’t like, it will get out late. It’s a sort of guess work which ones they want to be on and which ones they don’t that you like. Mark Haywood: Also, as well as the minimum bet rule, they also brought in the VOP, the official price, that impacts the starting price you get in the top fluc. Trevor Lawson: I virtually stopped using top fluc because of that. I’m not sure what it is now, but at one stage it was of the 10 corporates that were using it, it was the 6th best price. Technically in some respects at five places you get a better price. I don’t use … I think I can do better than the VOP pretty much all the time now, so I don’t use it at all. I don’t bet top fluc at all anymore. Where extensively I did previously. Because I’m sitting in front of my computer all the time. If I wasn’t well then I would take top fluc or if I was going to the races basically from 9:00 in the morning til the end of the races, I was sitting in front of dynamic for 10 hours or something, and just keeping the process. Mark Haywood: So where previously if you were confident you had an overlay just before the half hour opened, then you’d go top fluc. But now it’s a case of trying to figure out if you’re going to shorten or not? 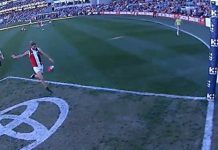 Trevor Lawson: Yeah, so what’s happening now is that all the power has gone to the corporates, so something might be, say $6.50 at the 30 minute mark or the 32 minute mark, and if a lot of them have laid it top fluc, by the time it gets to the 25 minute mark they’ll have it into $5 and then it might get backed into $4 that seven minutes before you can get $6.50. So it’s just a matter of watching it, and that tends to happen a bit. When it was the on-course bookies, and just before when they went up they’d be boards not set and then the top fluc money would go around and they would turn it up. But now all the power is with the corporates, so it’s a completely different way of doing it. Mark Haywood: Better, worse or just different, do you think? Trevor Lawson: Percentages are higher overall. I’m just looking at today at Sandown basically averages 117%, so yeah it is what it is. You just adapt and make it work for you because that’s the way it is now. It’s not like the way it was. Now we just change with the times. Mark Haywood: Previously you were in a betting ring at times and you were able to watch the money go. Trevor Lawson: Yeah, previously used to just bet top fluc and you knew what was going on and every now and then one person might bet a better price, but as soon as three bookies bet the same price or a higher price, that was the fluc. Now it’s like you might have four bookies betting the same price but the fluc is less. Mark Haywood: I know when we first got you on about 12 months ago, we spoke quite a bit about how you walk the tracks. Is that still the case, are you still a fairly consistent track walker? Trevor Lawson: Yes. Because I just sort of basically try and focus on the city meetings. I or an associate of mine will walk all the tracks. I think there’s an advantage in that. Where you think the best going will be and you can ping for horses that you think will be advantaged by their draws. Or oppose horses that you think are going to settle or what ground they’re going to have to go through is going to be a negative. Mark Haywood: You said you still obviously focus on mainly on the four metro tracks. There’s been no change in that approach for you personally? Trevor Lawson: Well as a one man show it’s just hard to sort of do it all. I rate all the other races and all that. From time to time I think I’ll try and do some more, but I just find it better for me just to focus on the city meetings, stay fresh for them. I can stay fresh for them. I can survive comfortably just betting on them and and I think there is something like 130 or 140 meetings a year. So that’s virtually two and a half a week. I like to do it properly so it takes round about 8 hours to do a meeting properly. So, yeah, the more meetings you’re doing the less time you’ve got. Mark Haywood: And just on that, we get a lot of people who were very interested in the way you go about it week to week. What’s a typical week whereby you’ll have a meeting to cover on a Wednesday and Saturday, how does the week tend to work for you in terms of what you’re actually doing? Trevor Lawson: So Mondays it’s normally rating the meetings that I’m not up to date with from the previous week. Either Monday night or Tuesday morning, I’ll start doing the form Wednesday and at some point I’ll go down to the track. Either Tuesday or Wednesday morning, just depending on rain and or in the summer, I don’t like to walk it after they’ve just finished watering it, I like to wait til they’ve finished it. I’ll wait til Tuesday morning or Wednesday morning. And then Tuesday afternoon try and finish the form for Wednesday. 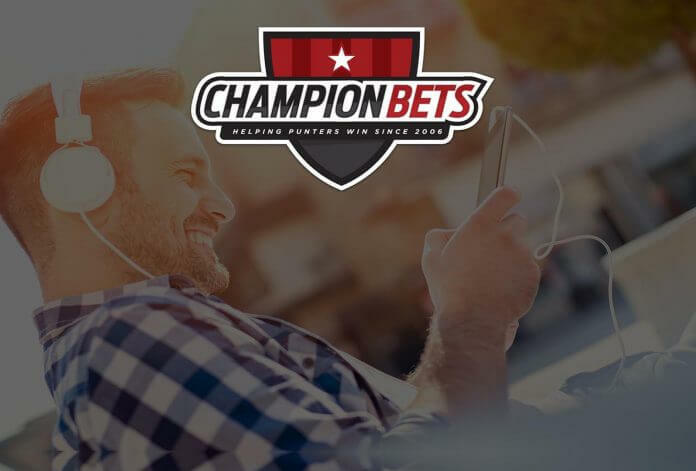 Wednesday morning – start early, finish everything off, send the bets out, and then basically start betting depending on what’s happening with the markets from 9:00 and then finish. And then Wednesday night do a bit of preparatory work for Saturday, do the same thing Thursday, then I walk the track Friday, finish it all off. Then I try and have Sundays off. Sunday I might do a couple hours of work in the morning, just to keep things up, but I tend not to bet at all or work at all on Sundays and that’s my day off. Mark Haywood: You were saying earlier you like to rate, or you need to rate, basically every meeting in Victoria. Do you do nearly the same process for every meeting that you do for one that you’re sending ratings out and doing properly? Trevor Lawson: For arguments sake, yesterday I don’t really do the form, and then at some point in the next five days, I will either get the times for the meeting, which come though the database or I do them myself, and then I’ll rate all the horses on that day post-race. So I don’t do much pre-race for the provincial meetings, but I do all the post-race. All the provincial meetings, Adelaide Saturday’s and Sydney Saturday’s. Just for horses that come here. Mark Haywood: Any trainers or jockeys … It changes over time I guess, but any that you think are going quite well? Trevor Lawson: So I have a jockey ranking rating system, and then with the apprentices they get the claim added to the ranking. At the moment Beau Mertens I’ve got him the best jockey in the state with his claim included, so he actually gets a bonus, which most apprentice jockeys are in negatives, so he gets a bonus plus his claim. I think anyone that subscribes will see that we’re on a lot of his horses. The best riders ride all the winners, and so they’re the ones you want to be on. I think he’s one. I think Jordan Childs has improved a hell of a lot in the last 12 months as well. Then amongst the senior jockeys it’s the normal guys – Craig Williams, Damien Oliver, Damien Lane, those sort of jockeys. Mark Haywood: Do you have any allowance in your ratings for the trainers as well? Trevor Lawson: Not so much, no. I use the jockey and trainer combinations a bit, so I might have a jockey who I don’t think is a plus jockey, but when he rides for trainer X, they’re a good combination so I might give him a bonus. The rating takes care of itself so to speak. Like Weir at the moment, a lot of them are over-bet, so you can only go so far with your ratings. You can only do so many things, and then if you price it and that’s it and it’s so much shorter, like at the end of the year if you’re correct, there’s going to be a big differential, a lot of them will just be over-bet. And that’s the secret in trying to figure which ones are and which ones aren’t. Mark Haywood: Thanks for joining us Trev. We’re definitely looking forward to another big 12 months and hopefully you are as well. Trevor Lawson: Hope so, thanks mate.